Brings a smile to your face whenever you see one, plenty of good ones about. Parts can take a bit of tracking down, beware of over-priced, overworked examples. 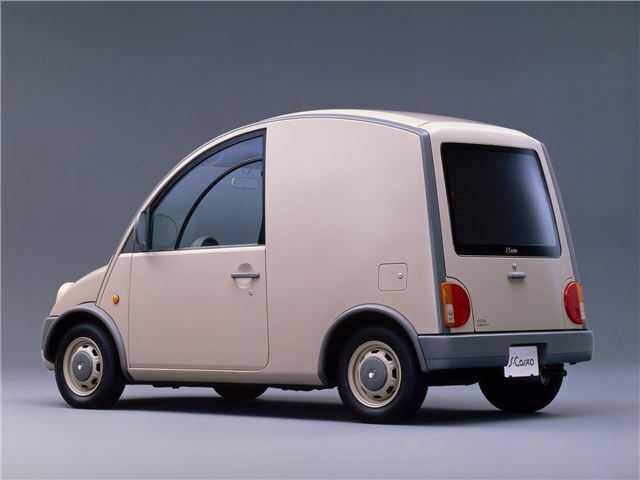 The Nissan S-Cargo was a wonderfully styled (and named!) small van that was based on the K10 Micra and built by the Pike Factory. It was inspired by the Citroën 2CV van, and even featured a single spoke steering wheel. 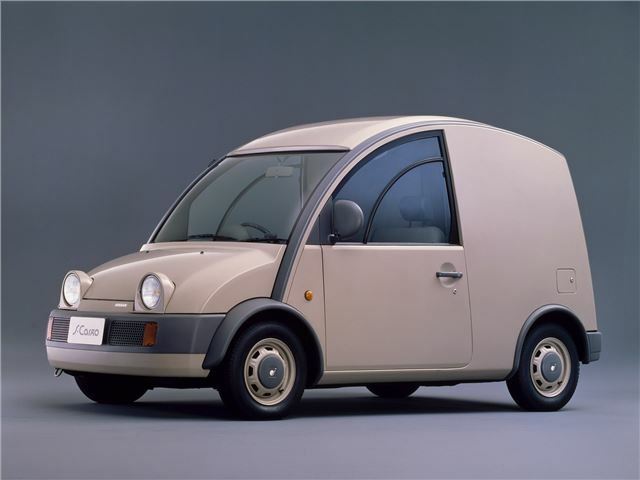 The S-Cargo was introduced at the Tokyo Motor Show in 1989, and went on sale the following year. Approximately 12,000 S-Cargos were built, and they have subsequently been exported all over the world as a popular 'speciality' delivery vehicle.